When Mrs Ramsay tells her guests at her summer house on the Isle of Skye that they will be able to visit the nearby lighthouse the following day, little does she know that this trip will only be completed ten years later by her husband, and that a gulf of war, grief and loss will have opened in the meantime. As each character tries to readjust their memories and emotions with the shifts of time and reality, this long-delayed excursion will also prove to be a journey of self-discovery and fulfilment for them. 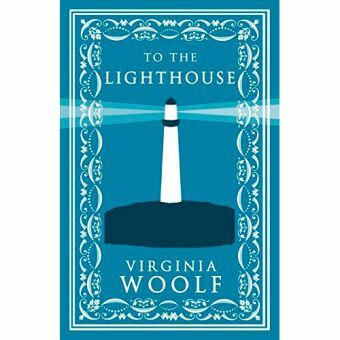 Rich in symbolism, daring in style, elegiac in tone and encapsulating Virginia Woolf's ideas on life, art and human relationships, To the Lighthouse is a landmark of twentieth-century literature and one of the high points of early Modernism. When Mrs Ramsay tells her guests at her summer house on the Isle of Skye that they will be able to visit the nearby lighthouse the following day, little does she know that this trip will only be completed ten years later by her husband, and that a gulf of war, grief and loss will have opened in the meantime. As each character tries to readjust their memories and emotions with the shifts of time and reality, this long-delayed excursion will also prove to be a journey of self-discovery and fulfilment for them.